What do UVA and UVB mean in sun creams? How do sun creams work? And how much do you need to apply? All your questions answered. Staying protected in the sun is crucial, and sun cream is an essential part of sun-safe behaviour, alongside seeking shade and covering up. But how do sun creams actually work? How often do you need to apply them? Can you rely on once-a-day sun creams? And what about the SPF in your make-up? Find out, and get answers to all of your other sun cream questions below. We've tested sun creams to help you choose effective protection for your family, as well as products that feel great on your skin. Once you've polished up your sunscreen knowledge, find the best product for you - check out our sun cream reviews. What does the UVA seal mean? How often do I need to apply sun cream? How much sun cream should I apply? Will make-up with an SPF protect me in the sun? What about sun creams that only need to be applied once a day? Will water-resistant sunscreen protect me when I swim? Should I buy a special sun cream to use on children and babies? How do sun creams for sensitive skin differ from standard ones? Does sun cream go off? These are both types of ultraviolet radiation from the sun. Both types have been linked with skin cancer, although UVB is the main cause of sunburn. 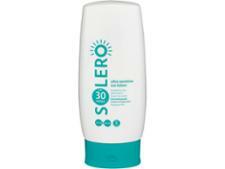 Sun creams usually also offer some protection against UVA, which has been linked with premature ageing. The UVA seal – a logo with ‘UVA’ inside a circle – also indicates that a product protects against UVA. Find out which sun creams passed our UVA and UVB tests using our sun cream reviews. The UVA seal indicates that a product meets the EU recommendation for sun creams to offer a UVA protection factor equivalent to at least a third of their SPF. However, some products display the Boots star rating – the protection claimed by these products is higher than the minimum required by the EU. Some sun creams use other logos, some of which conform to other countries’ standards. The Sun Protection Factor (SPF) gives an indication of the amount of protection sun creams offer against UVB radiation. It gives an indication of how much longer skin that's covered with the sun cream takes to redden in response to UV, compared with unprotected skin. SPF30 is a popular choice among consumers, so we tested products with this claim. If you want to find out which products didn't meet their SPF claims in our tests, check out our list of Don't Buy sun creams. It’s best to first apply sun cream 15 minutes before you head outside. Experts recommend that you then reapply it every two hours, but you may need to reapply it sooner than this if you go swimming or find yourself sweating a lot. SPF gives an indication of how much longer it will take for your skin to burn with sun cream compared with bare skin over the whole day. However, studies suggest that most people won’t achieve the specified SPF due to poor application – it’s better to apply too much sun cream than too little. It’s very unlikely you’re applying too much. The World Health Organization (WHO) recommends 35ml for the total body – that’s around seven teaspoons: one for the face/head and neck, one for each arm and each leg, and one each for your front and your back. The image above shows the average amount of sunscreen we typically apply in a single full-body application in the hand on the left. Next to this - in two hands – is the amount we should be applying. Not applying enough sun cream reduces the level of protection we’re receiving. 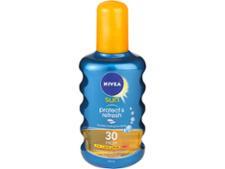 According to the WHO, applying a smaller quantity of sun cream leads to a disproportionate reduction in protection – if the quantity applied is reduced by half, protection may fall by as much as two thirds. Find out which provide the most effective protection by browsing our sun cream Best Buys. Some protection is better than nothing, but no product can reach its full SPF if the right amount isn’t applied. For any product to offer the SPF it claims, you need to apply 2mg per cm2 – which means around a teaspoon of product needs to be applied to your face. And, just as with sunscreen, it needs to be reapplied regularly. In reality, you’re unlikely to apply the amount of make-up required – in the case of foundation, that would mean a 30ml bottle would only last six applications. When used realistically, make-up isn’t going to protect you from the sun on its own. More and more products are becoming available that claim to provide sun protection for up to 10 hours after a single application. However, we don't think you should be relying on any sunscreen to stay protected all day. Read more in our guide to once-a-day sun creams. It's common for sunscreens to claim to be 'water resistant', but keep in mind this doesn't mean that they're waterproof. You may be surprised to learn that the industry guideline for water resistant sun creams allows the SPF of a product to drop by 50% after a total of 40 minutes in water. Water-resistance testing also takes place in what is essentially a bath - using tap water. We tested two popular sun creams in chlorinated water (to mimic a swimming pool) and salty water (to mimic the sea). We also added another scenario using fast-moving tap water to see what effect this had. Most of the time the products weren't as effective in our more realistic conditions as they were in tap water - if you're relying on a sunscreen at the beach, be careful to apply it copiously before swimming, and again when you leave the water. 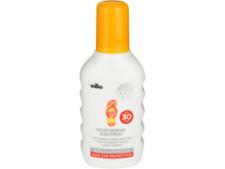 Sun creams that are specially formulated for children and babies are less likely to irritate young skin. However, sun cream is just one part of staying safe in the sun – encouraging kids to slip on a T-shirt, slop on sun cream, slap on a hat and wrap on sunglasses are all good ways to help them remember to stay safe in the sun. Babies should be kept in the shade. Learn more in our guide to baby and child sun creams. There are two types of active ingredients in sun creams – physical blockers and chemical absorbers. Chemical absorbers soak up UVA and UVB radiation, while physical blockers act as a screen to protect the skin. Many products use combinations of the two. ‘Sensitive’ creams tend to use physical blockers, which act as a screen to protect the skin. Chemical absorbers soak up UV radiation but are also more likely to cause skin irritation than physical blockers. There’s a long list of ingredients that are used as chemical absorbers, so it’s easiest to look for products that are labelled ‘sensitive’ rather than search for specific ingredients. Yes. Before using a sun cream, check the bottle for a 'period after opening' symbol. Most of the sun creams we've tested say they have a shelf life of either 12 or 18 months after opening. Storing sun cream at high temperatures or in direct sunlight can decrease its shelf life. So if you took last year's sun cream to the beach with you, it may be time to buy a new bottle.